Korean drama fans, this one’s for you. You can now catch one of Korea’s current top airing dramas, The Girl Who Sees Smells. Channel ONE is set to premiere this 16-episode romance thriller this May. Based off the webtoon of the same title, sink your senses into this rivetting murder mystery and the race to find the “Barcode” Serial Killer, a ruthless murderer that leaves victims with barcodes carved onto their skin. The star-studded cast features main leads Park Yoo Chun and Shin Se Kyung, both familiar names among K-drama lovers. 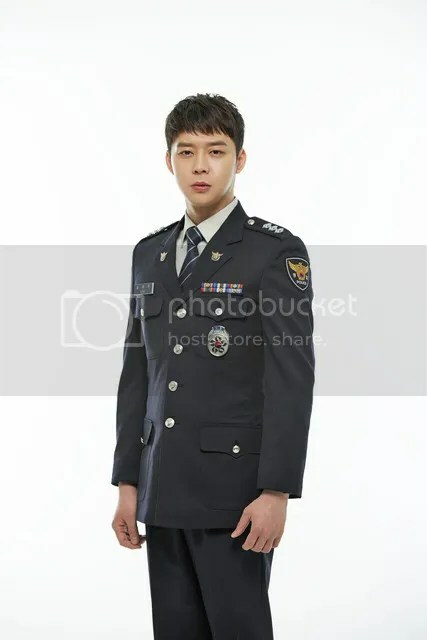 Park Yoo Chun, who acted in popular dramas Rooftop Prince and Sungkyunkwan Scandal, takes on the role of Choi Mu Gak, a newly promoted police detective who recently lost his younger sister to the “Barcode” serial killer. The trauma from the incident leaves Choi devoid of his sense of smell and taste, as well as the ability to feel pain. Shin Se Kyung, whose previous works include Fashion King and popular movie Tazza, plays the girl who sees smells. The girl who sees smells is Oh Cho Rim, an orphan left behind after her parents fall victim to the “Barcode” serial killer. Whilst fleeing from her parents’ murder scene, Oh Cho Rim is hit by a car and the accident leaves her in a six-month-long coma. Upon waking up, she loses her memory and miraculously develops a heightened sense of smell. Now a simple, happy-go-lucky girl, Oh Cho Rim forgets everything about her tragic past, including the untimely death of her parents. Pursuing her dream of becoming a stage comedian, will Oh Cho Rim be the girl who eventually draws Mu Gak out of his grief? The two extraordinary souls cross paths to solve the mystery of the “Barcode” serial killer that wrecked their lives in a suspenseful new romantic-comedy drama. Together, they rack their brains and fall into hilarious, offbeat situations in a bid to unravel the mystery surrounding the murder of Choi’s sister, as well as the other chilling “Barcode” crimes. Everything falls into place until Mu Gak and lead detective Lieutenant Yeom Mi discovers an uncanny resemblance between Oh Cho Rim and the key witness from her parents’ murder case. What’s also perplexing is that Oh Cho Rim occasionally gets mistakened by strangers as Choi Eun Seol, the name of Mu Gak’s dead sister. Who exactly is Oh Cho Rim? And can her ability to see the scents wafting out of objects help put a stop to the increasingly disturbing deaths? To get to the bottom of this mystery, catch The Girl Who Sees Scents, premiering on the 6th May, 8.55pm/7.55pm (JKT). The Girl Who Sees Scents will air every Monday and Tuesday on ONE. For more information, visit www.onetvasia.com.